What are the differences between tax credits and tax deductions? Tax Credits and Tax Deductions are not the same thing. Deductions lower your taxable income, which reduces your tax by your marginal tax bracket percentage. So if you get a $1,000 deduction, you’ll pay taxes on $1,000 less income, which means you’ll save $250 on taxes if your marginal tax bracket is 25%. In other words, you’ll get back 25 cents for every dollar you spend on a deduction. Credits, on the other hand, reduce your tax dollar-for-dollar. So if you get a $1,000 credit, you’ll pay $1,000 less in taxes. As you can see, credits are much better than deductions. 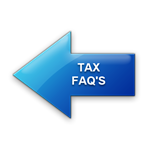 As always, feel free to contact us with your tax questions...we’re happy to help!